Any era, any location, any lifestyle... what would you choose? My first question Diana, since you're writing about a very different America from the one I know, is this: if you could live in any era, any location, any lifestyle... what would you choose? I live, breathe and write about the late nineteenth century. I am drawn to it. I have a box of letters and photographs from my ancestors, who were on from both sides of the Civil War. My mother inherited a photograph of Abraham Lincoln which informs my protagonist's experience as a young woman in my debut novel, Mistress Suffragette. There are a series of letters that I inherited which are love letters that make me cry that I have not written about -- yet. My mother's side of the family lived in Philadelphia and Manhattan. My father's side of the family lived in various towns in New Jersey and also in Manhattan. I also had ancestors who lived in Boston, St. Louis, and in various towns in Rhode Island. So, if I could live in any era it would be during the late nineteenth century, most likely in Manhattan, where I live now. I try to see the city as it was back then, with its numerous brownstones and a low but majestic skyline. And then I try to have my readers experience it too. My dream was always that I wanted to live in the future. Of course, the future keeps arriving, inexhorably, and we always end up living in the present era. I notice from your blurb that you're writing about a woman with hidden reserves of courage and tenacity. How would you recommend a woman of today look for her "hidden reserves of courage and tenacity"? Womanhood -- being a woman, the choices we make as women, is radically changing right now. This year, women celebrated the 100th year anniversary of gaining the right to vote in New York state, a woman ran for President of the U.S., and the Me-Too Movement sprung into existence. At the same time for many women, getting married is as important as it ever was, as well as having a family. No matter what the political backdrop, the choices an individual woman makes are always personal. Is she attracted to someone who will be good for her or bad for her? Sometimes searching for one's hidden reserves of courage and tenacity means saying, "I made the wrong choice and now I have to take the necessary steps to correct it." That can be as true for walking away from a relationship as walking away from a bad career choice, if need be. And walking away is never easy is it? What do you think we have we gained and what have we lost since the Gilded Age? The Gilded Age was a time of radical transformation in the United States, mainly because of the confluence of three pushes: the push toward industrialization, the women's suffrage movement, and the Panic of 1893, which wiped out family fortunes overnight. The Gilded Age was a time of great change. Some wealthy people became tycoons; others lost their livelihoods in the greatest Depression before the Great Depression. In some ways we are living through a second Gilded Age now. Technology is forcing people to stay abreast of it. My heroine loses her family and her home during the Gilded Age, which is a giant challenge for her. She needs to prove to herself that she's a survivor. That's an interesting idea, about today being a second Gilded Age... kind of depressing too in a way. I wonder what women's issues future authors will write about when they look back. Thank you so much for visiting my blog and answering my questions. I shall look forward to reading your book sometime. But first I shall read the excerpt you're generously sharing below. Diana Forbes is a 9th generation American, with ancestors on both sides of the Civil War. Diana Forbes lives and writes in Manhattan. When she is not cribbing chapters, Diana Forbes loves to explore the buildings where her 19th Century American ancestors lived, loved, survived and thrived. 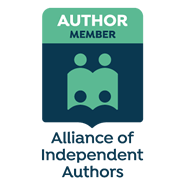 Prior to publication, Diana Forbes’s debut won 1st place in the Missouri Romance Writers of America (RWA) Gateway to the Best Contest for Women’s Fiction. A selection from the novel was a finalist in the Wisconsin RWA “Fab Five” Contest for Women’s Fiction. 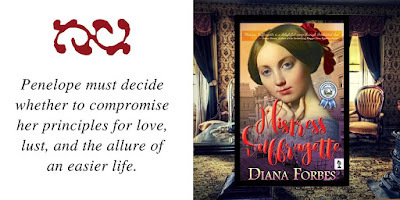 Mistress Suffragette won 1st place in the Chanticleer Chatelaine Award’s Romance and Sensual category, and was shortlisted for the Somerset Award in Literary Fiction. Mistress Suffragette won Silver in the North American Book Awards and was a Winner of the Book Excellence Awards for Romance. 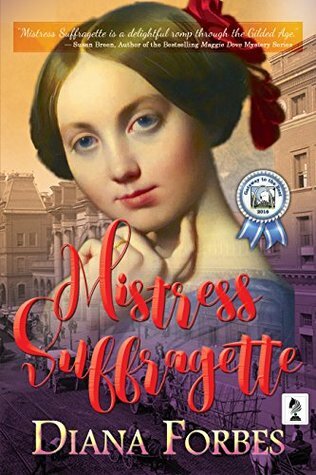 Mistress Suffragettewas also a Kirkus Best Indies Book of 2017. The author is passionate about vintage clothing, antique furniture, ancestry, and vows to master the quadrille in her lifetime. 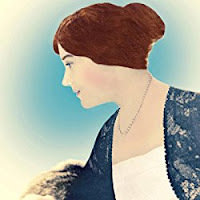 Diana Forbes is the author of New York Gilded Age historical fiction. A young woman without prospects at a ball in Gilded Age Newport, Rhode nIsland is a target for a certain kind of “suitor.” At the Memorial Day Ball during the Panic of 1893, impoverished but feisty Penelope Stanton quickly draws the unwanted advances of a villainous millionaire banker who preys on distressed women—the incorrigible Mr. Daggers. Better known as the philandering husband of the stunning socialite, Evelyn Daggers, Edgar stalks Penelope. Skilled in the art of flirtation, Edgar is not without his charms, and Penelope is attracted to him against her better judgment. Meanwhile a special talent of Penelope’s makes her the ideal candidate for a paying job in the Suffrage Movement. In a Movement whose leaders are supposed to lead spotless lives, Penelope’s torrid affair with Mr. Daggers is a distraction and early suffragist Amy Adams Buchanan Van Buren, herself the victim of a faithless spouse, urges Penelope to put an end to it. But can she? Searching for sanctuary in three cities, Penelope will need to discover her hidden reserves of courage and tenacity. During a glittering age where a woman’s reputation is her most valuable possession, Penelope must decide whether to compromise her principles for love. As luck would have it, the speaker at Tremont House that afternoon was a woman. I use the term loosely. Her name was Verdana Jones, and her topic, “The Dangers of Irrational Dress.” I had never considered the complex maze of corsets, petticoats, and bustles “Irrational,” but apparently others of my gender did and the sentiment had blossomed into a full-fledged Movement. Some of these undergarments were encumbrances, but they were all perfectly logical. Moreover, every woman in the world wore them. Like me, Verdana had red hair, but she wore it cropped in a mannish fashion that was most unbecoming to her otherwise fine features. She had a square chin and large, childlike eyes, and in a Boston fog I’d be willing to bet that she was often confused with a young boy. Her outfit contributed to this confusion. It was outlandish by modern standards and excessively unladylike. She sported a loose white tunic worn over ankle-length trousers, known as “bloomers,” and big, chunky boots instead of shoes. A small rectangular wooden platform rimmed the front of the spare lecture hall. Twenty hard-bitten women and three scraggly men dotted the aisles. The women, many sporting bonnets, looked dour and preoccupied as if they were gearing up for a contest of who could show the least expression on their faces. Verdana clomped up to a wooden lectern to deliver her tirade. I couldn’t help feeling that, by her dress anyway, she was a poor advertisement for her cause. One or two women applauded. Others silently knitted: some knitted clothing; others knitted their brows. All in all it was a sullen group. Mother was right about this Movement. It was filled with hardened, bitter women. I didn’t want any part of it. After Verdana’s harangue I rose to leave, in dire need of fresh air. I had never heard so much drivel about the evils of ladylike dress and the positive attributes of horrible bloomers. But Lucinda looked up at me like a sorrowful, brown-haired puppy dog that could not be wrested from her spot anytime soon. Her dark face wrinkled into an accordion fan of disappointment. I hesitated, not wanting to let down my friend. “Hallo there. The lady in the bustle!” Verdana cheerily called toward my buttressed behind. Recognizing that I was one of the few women in the hall outfitted in the very clothes she’d just lambasted, I intuited that she must be talking to me. “Excuse me?” I asked, turning around to face her. I felt twenty pairs of women’s eyes and three pairs of men’s riveted upon my rear. “I-I-I’m not certain you want to hear.” Where oh where was the exit? I heard laughter from the crowd directed at me, even though Lucinda’s dress was not markedly different than my own. “Because I hate speaking in public,” I said, to even more laughter. What was it that my little sister had once said in the heat of an argument? You’re quite good at boring your class to death. I sighed. How did I feel? I felt betrayed. I felt that my parents should not have asked me to support them. They should have protected me instead of trying to send me to New York. I missed my home and my horse. I even missed Lydia a tiny bit. I was nowhere near old enough to be living on my own in a strange city. Verdana wanted my opinion? Then very well, she would get it. I liked corsets and petticoats and bustles. They offered some support in a world that was mostly unsupportive. I stared at Verdana. Did I want to dress like her? Not in a lifetime of Sundays. How would I feel if corsets were forbidden? As if the last domain over which I exerted any control had been taken away from me. They could take away my home. They could take away my fiancé. But I’d be damned if I’d let them take away my corsets. I silently prayed to God that I wouldn’t make a fool of myself. Then I took a deep breath and strode up to the small wooden platform. I opened my mouth to speak. But if I had a thought, it flew out of my head. My mouth hung open. No words came out. I was speechless. “Just speak from the heart,” Verdana urged quietly. “It’s always best. You’ll see. So, I take it you like corsets?” she asked me in a normal speaking voice. “Uh—yes,” I said to her. “Fine,” I answered, frustrated at how small my voice sounded. She smiled. “Believe me, it’s a knack that develops with time. Just breathe.” She continued to slowly nod her head, silently willing the reluctant words from my mouth. I took another deep breath and felt my lungs expand. “Hello, my name is Penelope.” I exhaled. Phew. That was hard. “Your last name?” she asked. “What is your last name, dear?” she coaxed. “Uh—Stanton.” I felt my face get hot. Little wisps of hair stuck to my face. “No.” I felt like I had to think about each word, almost like a foreigner struggling to speak English. I pushed the wet hair up off my face and turned to the crowd. “I enjoy the prevailing fashions, as you can see.” Thank God. A whole sentence. I pointed to my light pink gown. I twirled around to model it for the group. Some tepid applause followed, which surprised me. Two women set aside their knitting. A burst of light applause followed, and I only wished that my sister had been there to witness it. Verdana bowed her boyish head at me and stretched out her arms diagonally, one below her hip, the other high above her head. “And that, ladies and gents, is the other side of the argument,” Verdana boomed to heartfelt applause. I nodded. Perhaps that had been the problem with my French classes. No student had ever wanted more. Here on stage I’d felt almost like a different person. Brave, gutsy, and confident. I wouldn’t mind feeling that way every day. What was it about this stage that had caused me to throw caution aside and just express my feelings? Her eyes widened as we both waited for me to put words to my emotions. How well do you know what you're thinking? Why France? Why Austen? And why be a stranger? What Makes Mysteries So Cozy? But What if Nobody Comes? What comes first, ashes or fire?